You see it appear halfway up, magically suspended in the air, like in an adventure novel. It is Porto Flavia, halfway between a commercial port and a futuristic architectural work that revolutionized engineering in the early twentieth century. It is located in the district of Masua, in the territory of Iglesias, and it is the most visible extremity of a complex of underground tunnels that end in a construction carved out of the rock face. It got its name from Cesare Vecelli, 'father' of the mine, who named it after his daughter (Flavia). The structure was used as a boarding system for directly transporting the extremely heavy minerals that were lowered onto the anchored vessels on the turquoise sea. 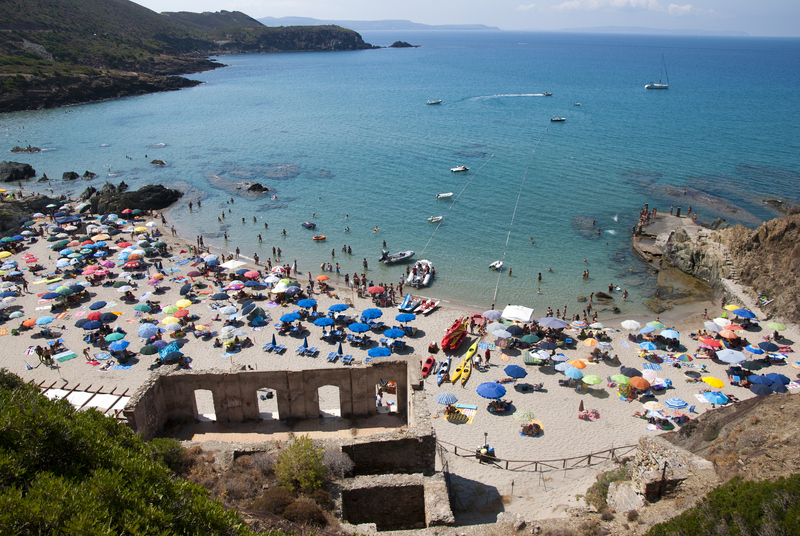 The little beach of Porto Flavia, with a surrounding green pine forest, appears alongside the ruins of a mining facility. 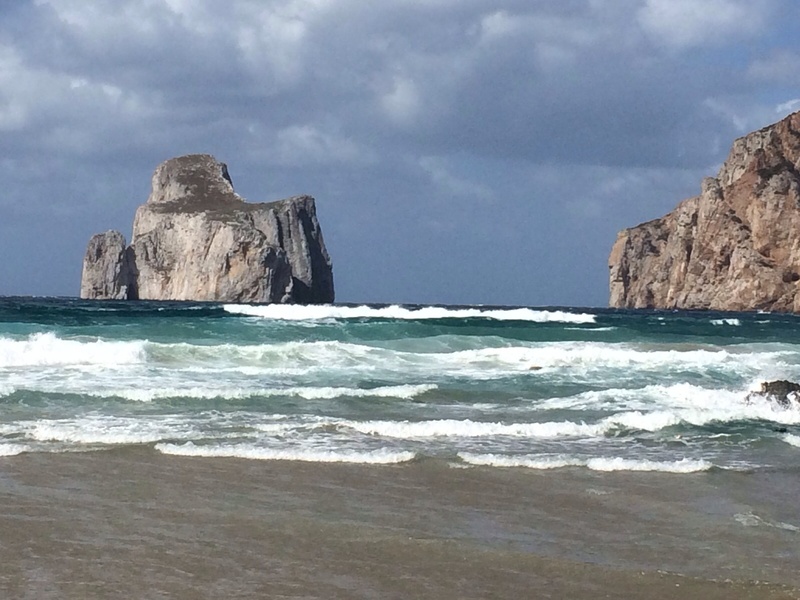 From here, the landscape will carry you off towards the deep blue of the sea and the pure white of the mighty sea stacks of Pan di Zucchero. A natural monument measuring 132 metres and shaped by the passing of time and by the combined action of the wind and the sea. The limestone rock emerges from the depths and stands in front of the tip of Is Cicalas like a giant from the sea, dominating the coast. It is right here that the beach is characterized by a chromatic contrast with the surrounding green pine forest. This seaside destination is very popular with scuba diving enthusiasts because of the great amount of hidden beauty beneath the sea. 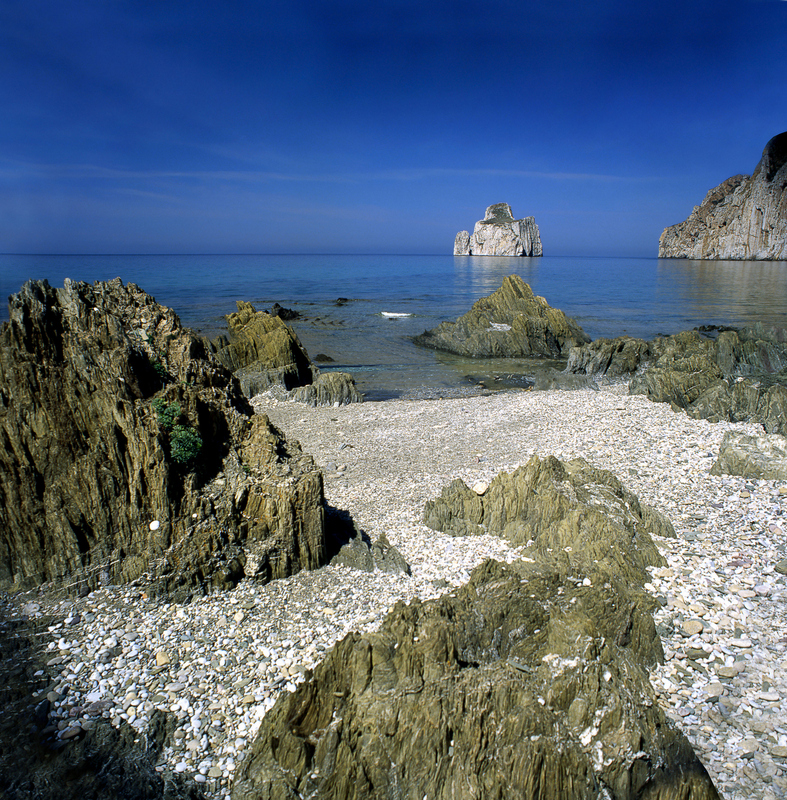 All the coast of Iglesias has a wild charm, with enchanting coves and beaches. 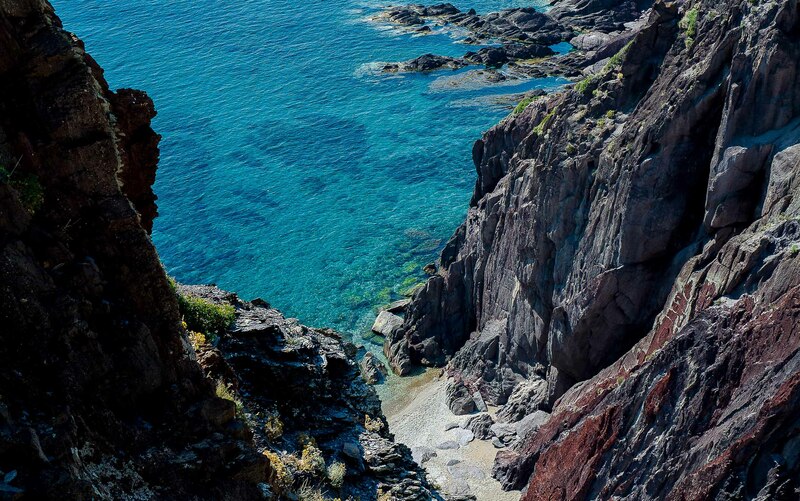 Among the wonders not to be missed, there is also Porto Paglia and Nebida, another small district with 'mining' origins. The mines deeply marked the life of the Iglesiente area. 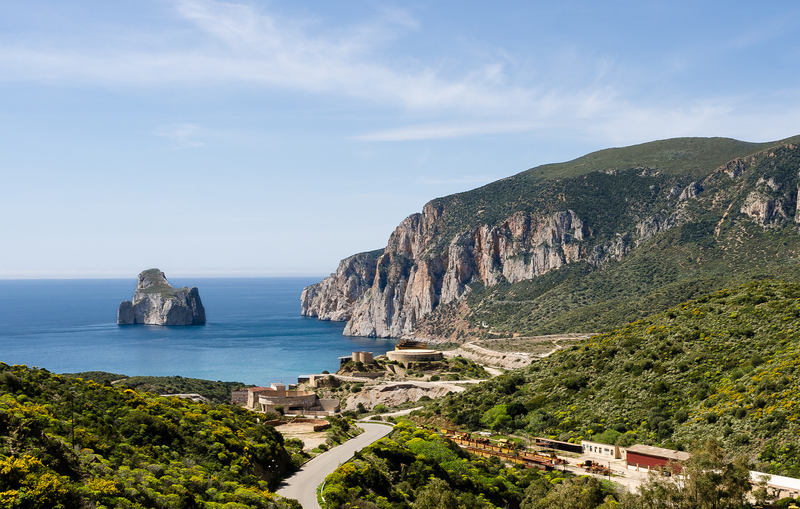 Today, they are an archaeological and industrial heritage of the Parco Geominerario della Sardegna (Geological and mining park of Sardinia), declared a World Heritage Site by UNESCO. In Masua you will be able to explore them in person, in the Museum of Mining Art and in the Museum of Machinery in Iglesias you can follow their development. The mining route of Santa Barbara, in the 40-kilometre itinerary - 24 stages to cover on foot or by mountain bike - brings together two cornerstones of Sulcis: mines and worship. Iglesias is the point of departure and it is not surprising that Iglesias means 'churches' in Spanish and that, among its most famous attractions, there is the celebration of the rituals of Holy Week. 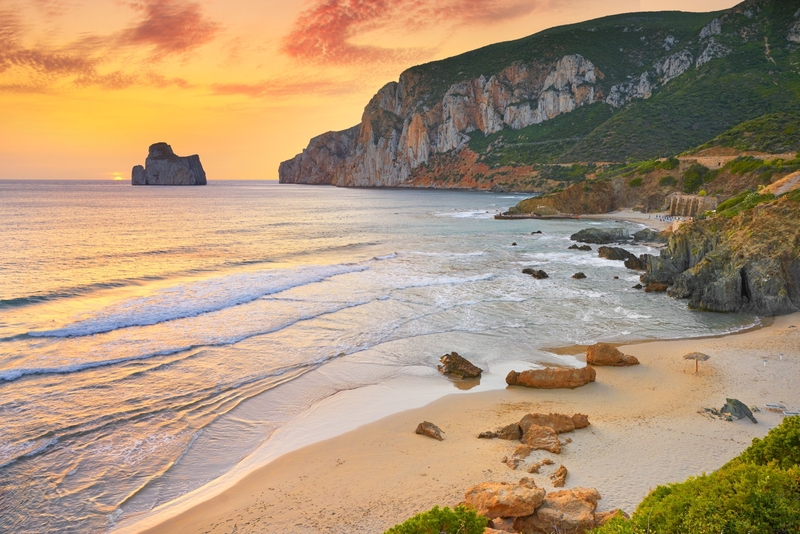 Porto Flavia is found in the locality of Masua in the municipal area of Iglesias, and is easily reached along the SP 83 provincial road that leads to the beach of Masua, from where you will find an uphill dirt track road that leads to the furthest point of the mining area. Do you like this place? Costa Verde and Sant'Antioco could be your ideal destinations.